You would be surprised to know that some websites pay $20,000 a month for hosting of their website. That’s expensive and many bloggers cannot afford that kind of hosting money. For many top entertainment and news websites like CNN, MTV their daily traffic can be in the hundred thousand and sometimes even million hits a day for really popular websites. You would be surprised to know that many of these websites also use WordPress CMS like any small time blogger. But you won’t find them using cheap shared hosting plans like go daddy ($1), bluehost or site ground, like many of us beginner bloggers use. These websites even though they are using wordpress, they need the hosting servers with the big guns so to speak. Their bandwidth requirements are humongous and they have large spikes in traffic on a regular basis. Portals like these can go through quite a few up and downs in speed and bandwidth needs, when possibly any of their hundreds of content pieces happen to go viral. You could imagine large sites like these would churn out hundreds of articles and videos on a daily basis. These websites need constant looking after to make sure everything is running right and loading fast to their viewers. On large sites like these, you can find people watching hundreds of videos, filling in thousand forms a day for competitions, hundreds of signups for memberships perhaps, and thousands of downloads for a screensaver or a pdf file tutorial. It could be anything like these and these actions use data and bandwidth. As you would imagine, different websites get traffic usage through different offerings or downloads offered and these all use huge bandwidth and so you need a reliable hosting server. While we beginner and established bloggers often pay as less as $1 a month for hosting, these websites can pay anywhere from $25,000 to even $50,000 a month for web-hosting. They do get premium service like dedicated engineers looking after the website, 24 /7 monitoring and many more premium services that we would not get on a budget shared plan. Here are my results of the expensive hosting providers. They are high priced because they cater to high volume traffic websites. Most of the time, when we talk about hosting large WordPress sites, the conversation starts at VIP. 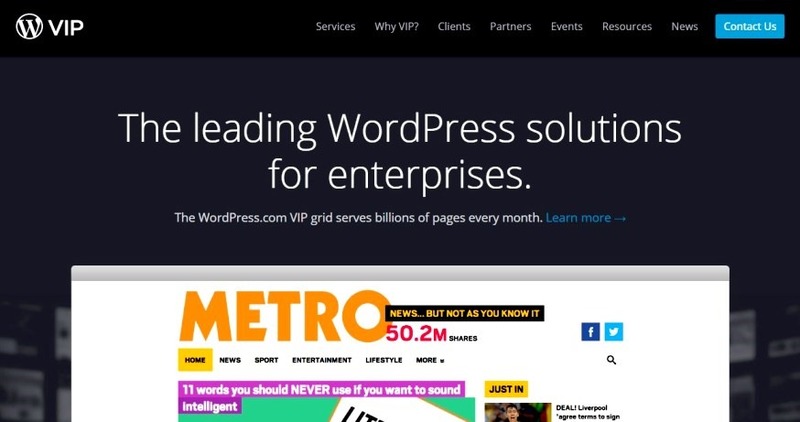 If you don’t know, VIP is the Automatic solution for enterprise WordPress hosting. Its claim to fame is all of the well-known news, blog and media sites it hosts (like CNN, Times, and TED, Tec crunch). Setup fee: $15,000 per site, $5,000 when using a partner – which means you will be paying $35,000 in the first month itself if you go with just a basic enterprise wordpress plan. If you go with a subdomain add-on and quite likely 2 or 3 developers which you will need for a big site, the price per month could easily hit $50,000 + a month. This plan is good for a network of sites. Setup fee: $15,000 per site, $5,000 when using a partner – – which means you will be paying $30,000 in the first month itself if you go with this basic wordpress plan without any add-ons. 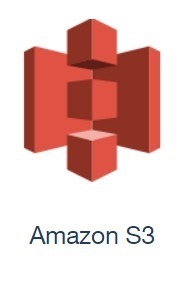 The two products/services you can use from Amazon AWS for your wordpress website is called “Amazon EC2” and “Amazon S3”. Because of the technical nature of how amazon servers are organised, you will need a skilled website developer to setup your website with amazon hosting servers. Amazon EC2 is the product from Amazon AWS that allows you to host your WordPress website. Amazon EC2 allows you to configure and scale your websites needs and capacity easily to meet changing requirements and demand. Amazon EC2 pricing is based on four components: the instance type you choose (EC2 comes in 40+ types), the region your instances are based in, the software you run, and the pricing model you select (on-demand instances, reserved capacity, spot, etc.). The pricing for Amazon AWS is a bit complex compared to other hosting providers. Example: Let’s say you decide to host your WordPress website on one Linux t2.large EC2 instance in the US East region. With an on-demand pricing model, your monthly charge for EC2 will be $76.13. The total cost of building a WordPress website will vary depending on your usage and the instance types you select for the web server and database instance. Using the default configuration recommended by amazon, it will typically cost $450/month to host a WordPress site. The total cost for hosting may increase if you use Auto Scaling to increase the number of web server instances in the event of increased traffic to your WordPress site (approximately $75/month for each additional web server- if the web server is active for the entire month). 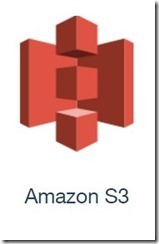 Amazon S3 makes it is easy to use object storage with a simple web interface to store and retrieve data from anywhere on the web. S3 Pricing is based on five components: the type of S3 storage you use, where you store your WordPress content (e.g. US East vs. Asia Pacific – Sydney), the amount of data you store, the number of requests you or your users make to store new content or retrieve the content, and the amount of data that is transferred from S3 to you or your users. Example: Using Standard Storage in US East, if you store 1 GB of content, you’d pay $0.03 per month. If you created your account in the past 12 months, and you’re eligible for the AWS Free Tier, you’d pay $0.00 per month. For more information, see Amazon EC2 Pricing. Rackspace has Australian servers and have a mix of entry level word-press plans and high capacity enterprise plans as well. They provide root access to their cloud server hosting for word-press. Pricing similar to enterprise plans can be anywhere from $20,000 to $50,000 a month based on your server requirements. You can get a customised quote from them. · LAMP stacks, load balancing or caching are implemented for fast speed. Rackspace has been helping business run web content management platforms since 1998. Unfortunately they don’t provide prices for high capacity enterprise plans. For high traffic and large websites, you will have to contact them and request a custom quote. You can get your wordpress pricing from rackspace over here or use their price calculator for a specific detailed pricing based on bandwith and addons. Pagely has wordpress managed plans. They provide free white-glove site migration of up to two sites and a 30 day money back guarantee. 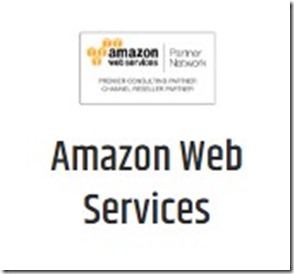 They are powered by Amazon Web services. This is a WordPress Optimized entry-level plan with staging and database access complemented by 3.75GB of RAM on SSD backed Amazon c4.large instance. It’s on a Shared Aurora RDS Database Cluster. With this plan you can prepay annually and save 5% for now. Pagely is a webhost that sources its hosting from Amazon, and is also one of their premiere partners. Pagely takes out the technical difficulty you could face setting up a wordpress website with amazon. They offer WordPress hosting for small and large companies alike. Most of the high priced servers or hosting for big sites is called enterprise plans or custom made to order plans. They provide custom plans based on your website requirements and server architecture. If you need scaling, or already have an agreement with Amazon for infrastructure, or if you expect your project to grow and want all that Amazon can offer but you don’t want to turn the work into a DIY project, Pagely will likely be the best fit for you. When it comes to support, neither Microsoft nor Pagely have currently matched the team size (hundreds of staff) dedicated to helping clients manage their sites and you get this with WP Engine premium plans. Small Business Plan – $249/mo. WP Engine does not provide a price for their Premium or Enterprise plan as you have to request a quote from them, but surprisingly they do provide the features that are included in the plan. Below are some of the features you can expect from a high end plan like the enterprise plan. 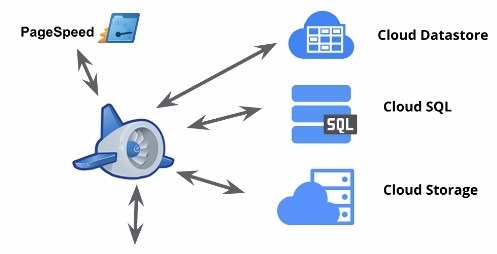 On the Google APP Engine (GAE) you can build modern web and mobile applications on an open cloud platform. This link over here will specifically give you more details on how to host a static website on google app engine. 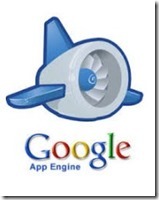 Out of the box, App Engine supports Node.js, Java, Ruby, C#, Go, Python, or PHP. The Google GAE is open and flexible as its custom runtimes allow you to bring any library and framework to App Engine by supplying a Docker container. You will definitely need a qualified website developer to work with GAE hosting to setup your website with google-hosting. A mobile app backend for 5 million monthly users. A web-scale Cassandra storage backend running on local SSD. Compare with AWS at $3744. GCP also has 80% more IOPS. What do you get with these high priced plans ? With these high priced plans, the more you pay the more you get. Sometimes if your lucky, you can request freebies to be thrown in as a bonus as well. · Customised server infrastructure for website if needed. 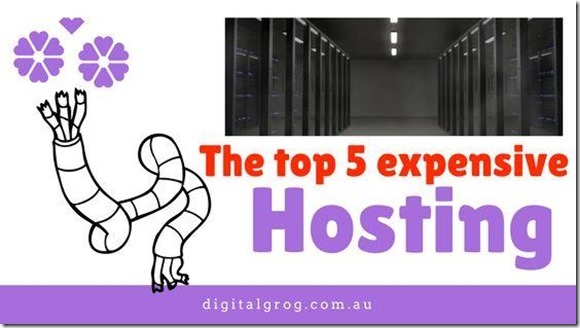 If any of these above features are missing in your webhosting plan you purchased, and your plan is more than $10,000 a month – you should be having a chat with your hosting provider. Today with cheap hosting you purchase your shared hosting plan and all you get is minimum or skeleton support, such is not the case with premium webhosting. With the budget or cheap hosts, you don’t even get phone support from most providers today. Many of these shared plan providers only provide online chat support – which is often horrible and inefficient. This is something you will have to put up with in budget host plans. With these plans, you have to do the website installation and setup all by yourself. Luckily they have created custom install scripts to assist with this process, which makes the job somewhat easy. There is also a market in-between cheap hosts and very costly hosts. These are for the mid-sized webhosting companies for small businesses. Hosting companies like WP engine, Liquidweb ($189/mo –20 sites Use code WordPress33 –33% off for 3 months) and Pagely cater to such mid-sized businesses to large business with robust or custom optimised WP plans. The mid sized plans from these providers can often be priced between $1000 a month up to the $5,000 dollar a month range. They often customise these plans according to your website traffic,data and infrastructure needs. This above list is a wish list that you should look to have when purchasing a new premium hosting account and you are willing to spend at least $5,000 a month and upwards on a website server upgrade. These included features will give you a solid base for the security and stability of your website. Many large Internet companies (Amazon, Facebook, and Google, for example) often do run (primarily, if not exclusively) their own data centres because they want/require more control over their data, technology, and costs. 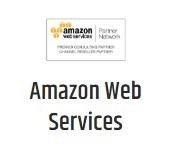 But Netflix, for example, uses Amazon Web Services (AWS) pretty heavily. Netflix uses AWS to do their video encoding, for example, and runs huge numbers of virtual machines in the AWS cloud. In my experience, most big companies have such diverse web requirements that they are likely to use a mix of their own data centres, third-party hosting and, cloud services. When optimising big sites inbuilt coding, custom and third party applications can be used for optimising your website for speed and and efficiency. Often applications like Cloudflare, MaxCDN, and/or a cache plugin are used to help you scale a site. With word press you can either use third party applications/services like these to increase your speed stability or create custom server or scripts within your server to do these functions. Many of the top level websites like Facebook and amazon and YouTube that receive millions of hits every day from all over the world, have their own data centres which exclusively serve their own data and content. They often have data centres spread around the world for faster online access to their customers to that particular area/country just like a CDN. So you can say in theory, they have like their own inbuilt CDN and caching technology in their servers. Amazon has their own infrastructure and is also one of the largest web hosting companies on earth. (See Amazon AWS). These guys are certainly bigger than Hostgator and Godaddy in terms of how much hosting they are using, since they own multiple data centres around the globe to serve a billion users and massive amounts of content. Facebook owns their own datacentre’s around the world.They even create their own server hardware from scratch. You would ask why – This allows Facebook to save energy by super-optimizing their hardware to their software and vice versa. Often you wonder, this website looks popular and is quite fast too, I wonder who they use for hosting? If you want to get a feel for what mix of technology or servers a specific website is using, this tool “BuiltWith – Web Technology Profiler” gives you a fair idea for most sites. Another tool/service to see who is self-hosting is “Netcraft’s Search Web by Domain” because they list netblock owners. All the hosts featured here are reputable and capable of handling high traffic websites including wordpress websites. When you have big needs for your high traffic website, its best to go with a reputable server provider who ticks all the boxes for your requirements. Most servers will be able to add services to your order based on what you are paying and often they can offer a free add on bonus on request. The basic server structure would not be able to be changed much most of the time, so make sure you know what they are running on their servers and if it will work with your website needs. Good luck and all the best finding your new host and let me know in comments, if you know any webhosts pricier than the ones I listed here. Ciao! I have roughly 10,000 visits a day , grown from 100 hits a day 2 years ago. Looking to upgrade from optimised hostmonster plan.. what do you suggest. I have also heard of kinsta and cloudways hosting. Are they any good. What about wp engine for upgrade ? 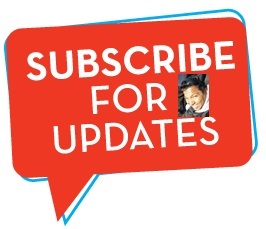 I have not used kinsta or cloudways but i will enquire with friends about their service and look to include it in my next review. 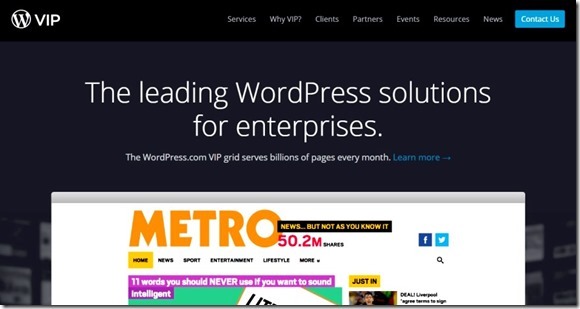 I have experience with wp engine and can definitely recommend them as a good WP host if it fits within your budget.